All Praise be to Almighty Allah and the Choicest Salawaat and Salaam on our beloved Nabi, Muhammad Sallallahu Alayhi wa Sallam. We are fortunate indeed to once again witness the beautiful month of Ramadaan, the month of mercy, forgiveness, generosity, Barakah, Dua, Ibaadat, obedience, Taraweeh, Sehri and Iftaar. The month that heralds the arrival of the night of Laylatul Qadr, the atmosphere of good deeds and actions, the general feeling of Brotherhood in the Ummah and so many other wonderful aspects. This is certainly an opportunity to maximise and capitalize on the infinite treasures of our Nourisher and Sustainer, Allah Ta’ala. This is a month when the Divine Mercy is not raining, but pouring on the Ummah! We take this opportunity to apprise the Muslim community of some of the work the Jamiatul Ulama KZN is undertaking. COMMUNITY WELFARE: The Jamiat KZN goes to great lengths to ensure that our donors’ Zakaat funds are discharged correctly. For this reason, the Jamiat’s Welfare Department has its own office, which is centrally located in the Durban CBD area. This location ensures ease of access for various recipients travelling from throughout the greater Durban area. The Welfare department sees to the needs of hundreds of poor Muslim households monthly, providing essential requirements such as rent, electricity & water, rates, groceries, bursaries and medical needs. Recipients are attended to daily at the office with careful screening and networking processes to avoid duplication and wastage of public funds. On average, over 750 people are attended to monthly. House inspections are undertaken prior to approving individuals as Welfare recipients; and follow up inspections are undertaken periodically thereafter. To avoid misuse, all payments are processed on behalf of the recipients via EFT. Zakaat funds are disbursed under the strict supervision of the Ulama. No Zakaat funds are used for administrative costs. Every endeavour is made to ensure that all recipients are Zakaat eligible. Below are pictures of some of the pitiable living conditions our Welfare Department has come across during their periodical home visits. PROJECT H.E.L.P. : (Helping Empower Local People) was established in 2014 to accomplish greater relief efforts among South Africa’s indigenous communities. Alhamdulillah, the project has performed sterling work and has thus far successfully completed over 30 outreach projects across KZN at various schools, old-age homes, orphanages, shelters and informal settlements. N.B. Only Lillah funds are utilised to fund our local projects. SKILLS DEVELOPMENT CENTRE: Alhamdulillah, the Jamiat KZN Skills Development Centre, which has been operating for the past two years, offers an empowerment program that strives to provide holistic development to the underprivileged women within disadvantaged communities of our society. The program runs over a 6-month period and consists of various skills training such as: Tailoring, Culinary Skills, Arts & Crafts, Madrasah Classes, Time Management and Communication Skills. Three classes have graduated in the last 2 years and several of our graduates have empowered themselves and are currently earning a living from the confines of their homes. WEBSITE AND SOCIAL MEDIA: The Jamiat website www.jamiat.org.za is constantly updated with current and pertinent Islamic information and is visited by thousands of viewers from across the globe. The Jamiat also offers a Daily Q&A email service (subscribe to newsletter@jamiat.org.za), a WhatsApp service (subscribe by WhatsApp to 082 831 5085), and a Twitter account (@JamiatKZN). 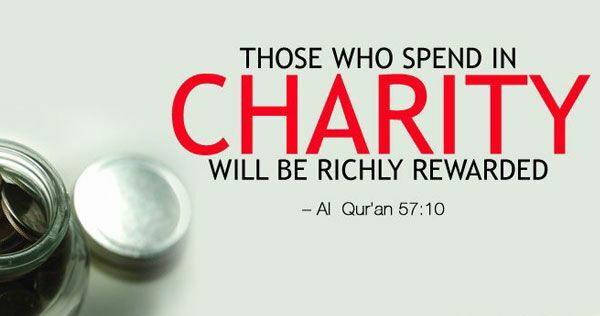 Alhamdulillah, through these mediums, thousands are benefitting daily. Your support enables the Jamiat to continue assisting the Ummah. May Allah Ta’ala alleviate the Ummah’s suffering and may you and your family have a most spiritually enriching Ramadaan, Aameen. Please specify whether Lillah or Zakaat for donations into the S18A account. Tax Exemption Certificates will only be issued on request and proof of donation.